I hadn’t thought much about Turkey until I met a flight attendant named Kevin about three years ago. My curiosity regarding his many travels led me to this one ultimate question: Where’s the coolest place you’ve been? Let’s cut through all the b.s., right? So, I’m expecting some off-the-radar tropical paradise; a far-flung, white-sanded dreamscape he’d have to explain the location of (he struck me as a beach-goer, ok?). Instantly, and without any hesitation, he stated, “Turkey . . . by far.” This guy has been all over the world, several times at that, and Turkey is “by far” the coolest place he’s been. I did not see that coming. That’s the reason I took notice of Guardian’s recent article, more a profession of love, which was just too much to pass up. I thought to myself what any other perfectly logical dude would think: prove it. Picture New York with a 3,000-year-old history and you have Istanbul. Then there are the never ending vistas of the Kaçkar and Taurus Mountains, the coastlines of the Mediterranean sea, pastel-painted underground churches used as christian shelters from ransacking Romans, sunsets on the graceful Grecian ruins where the Virgin Mary spent her last days, and the increasingly popular oil and wine country of Izmir. 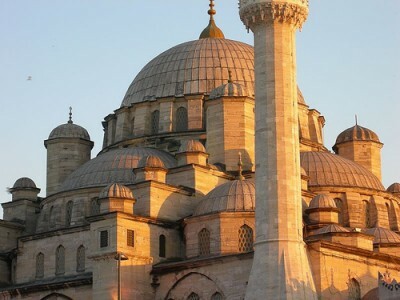 It’s Turkey’s culture and history that makes her so attractive today. The face she shows most of us is thoroughly modern – sort of like Italy, but with moustaches and headscarves… a step away from the tourist areas is a Turkey of such original beauty that you’d need a thousand lifetimes to spend here, and there’d still be more to discover. I know for a fact Kevin didn’t write this article, but the words are eerily familiar to our conversation. I can see the writer’s eyes glaze over as the words flow out from his fingertips, a thousand-mile stare on his face (probably because that’s how I look in the reflection of the computer screen). Quickly, one word replaces the dreamy images floating around my head: Proven.